Are you attending this year’s annual Craft Brewers Conference & BrewExpo America in Washington D.C. on April 10-13? If you’re interested in brewing or packaging equipment, stop by Lehui Craft’s exhibit at booth #3919! At this year’s CBC, some of our state-of-the-art brewhouses and tanks will be on display, along with highly efficient packaging equipment. Our booth will also feature high-quality stainless steel kegs and casks from NDL Keg – our partner company for kegging and cooperage. We’ll be in attendance for all four days of CBC 2017, and at the event, we’ll be showing a beautiful, copper-clad, two-vessel, 10 bbl brewhouse, and we’re looking for a buyer interested in purchasing the show model. Our booth, #3919, is located in Exhibit Hall 1 near the “Exhibit C” entrance. 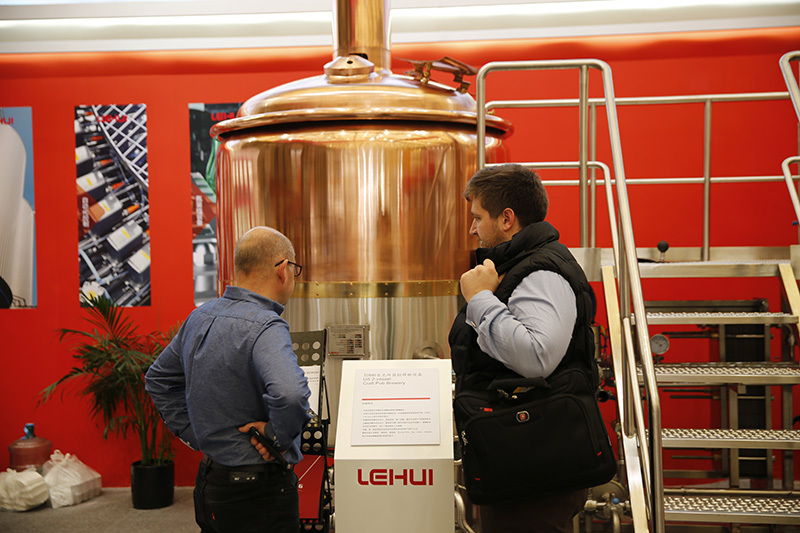 If you’d like to schedule a meeting to discuss brewing and packaging equipment with our team at the event, please contact us and we’d be happy to find time to meet with you. Our booth will also have fun, games and great giveaways, so if you’re attending the upcoming Craft Brewers Conference, be sure to visit the Lehui Craft &NDL Keg booth! Whether you’re interested in brewing equipment, packaging equipment, kegs or casks, booth #3919 is the place to be for fulfilling your brewing needs. Stop by and have a beer with our team!